Your smart TV might actually be smarter than you think, because no matter how many buttons the manufacturer has been squeezed on to the remote control, they are unlikely to cover all its functions. If you’re in the habit of tweaking the brightness, for instance, you may have to go through a labyrinthine menu system to find the control you want, and then wear out your thumb on the Return key to get back to the picture. That’s because although TV sets have become smart, remotes have not. The infrared technology they use hasn’t changed for 40 years. However, once you’ve connected your TV to your wifi network, you don’t really need the zapper at all, because you can access all the controls from another device in your house, most likely your phone. There are several advantages to this: there is no longer a need to pass the remote from one side of the room to the other because every member of the household can control the set from their own handset, and the buttons available can be customised to each person’s liking. All the big TV manufacturers have Android and iPhone remote apps for their sets. Samsung’s Smart View can find music, video and pictures stored on your phone and play them on the TV, and it lets you use a trackpad to control the cursor on its web browser. LG, Sony, Panasonic and Philips offer similar features. But it is among the unofficial apps from third-party developers that the real innovation is to be found. Some of these are designed to mimic the look and feel of a standard zapper but the best of them reinvent the process entirely, with customisable shortcut buttons and screens that change according to the mode you’re controlling. You often don’t need to press a button at all because you can speak your commands into the phone. Say “ITV” and the app tunes the set to channel three. Many can control not only your TV but also your other compatible devices. Your streaming stick or hi-fi are obvious contenders, but the possibilities are not limited to entertainment units. Remotely controlled lights, cameras or other paraphernalia that connects via wifi can, in theory, be operated from a single app. If your phone has a built-in infrared transmitter – most don’t , but it’s worth checking – you can control even older, non-smart set-top boxes. Anymote, whose software works with tablets and smart watches as well as phones, lets you control multiple devices from the same app and set up chains of commands to be executed automatically and in sequence – and of course you can customise the appearance of the screen to your heart’s content. However, like many similar apps, there are compatibility issues with some makes of phone. Smart TV Remote and RemoteMaster are among the other third-party solutions in the app stores, each with their own idiosyncrasies. All are free to download and use, though intrusive adverts are sometimes an issue. If they bother you, you can pay to get rid of them, once you’ve found an app that does what you want. 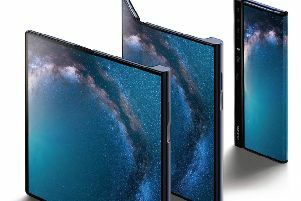 It’s fair to say that for most viewers, apps remain a last resort for when the dog has hidden the remote – but with many of the latest TVs sharing the same operating system as your phone, they are becoming symbiotic, and it may just be a matter of time before manufacturers start to supply only basic zappers as emergency standbys. It’s another step towards placing the mobile handset at the centre of the domestic universe.